A postcard from Rome, Italy, sent by Marysia for Vacation RR in postcrossing forum. 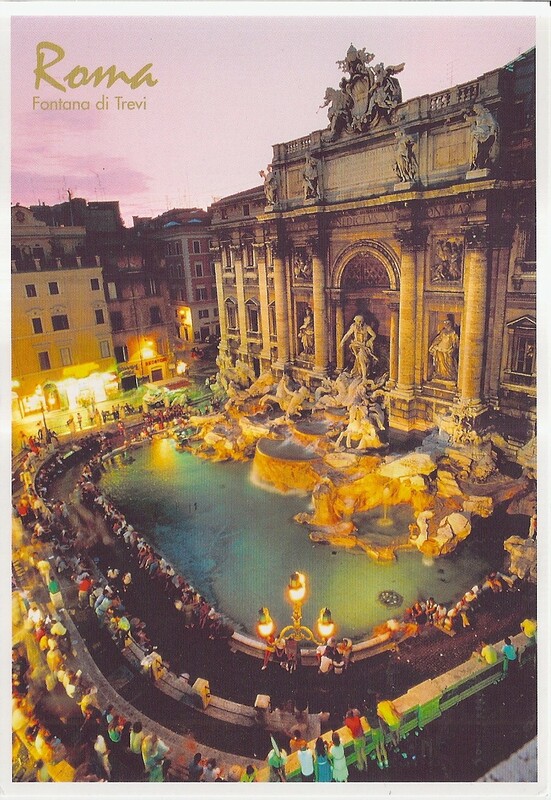 The postcard shows a spectacular nightview of Fontana di Trevi in Rome. At the back, Marysia affixed two Vatican stamps that mark the visits made by Pope Benedict XVI to Cyprus and Malta. 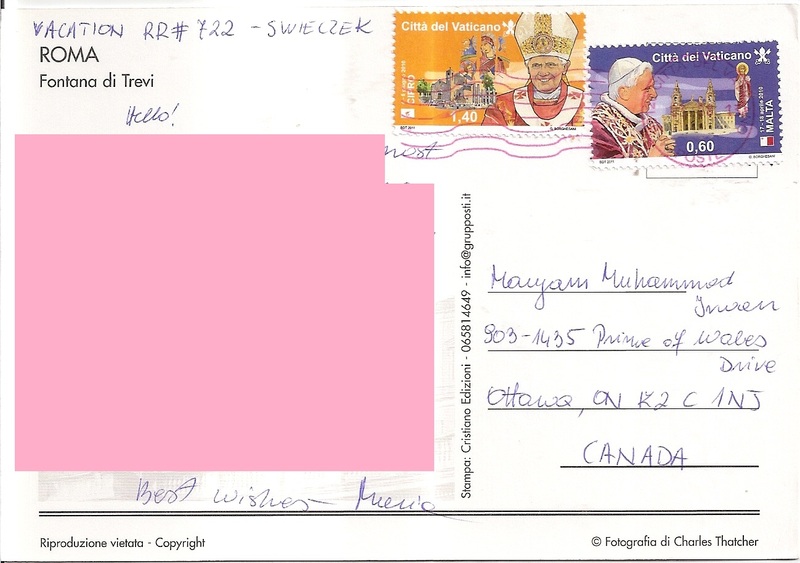 The postmark date is 3 August 2013 and the location is Vatican City. Thanks a lot Marysia! 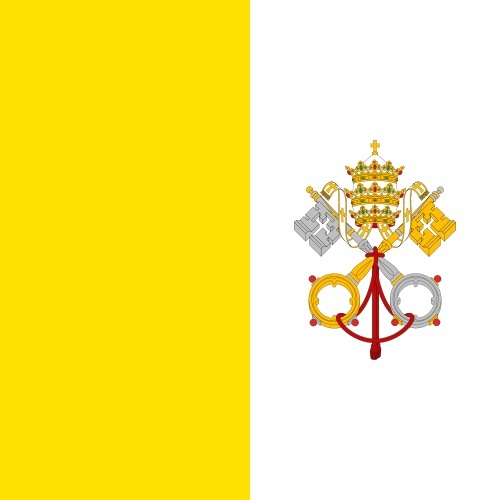 My first cover from the smallest nation in the world – the Vatican City! This one is from Francois LeBoucher of France who was visiting there. On the cover Francois affixed three stamps. 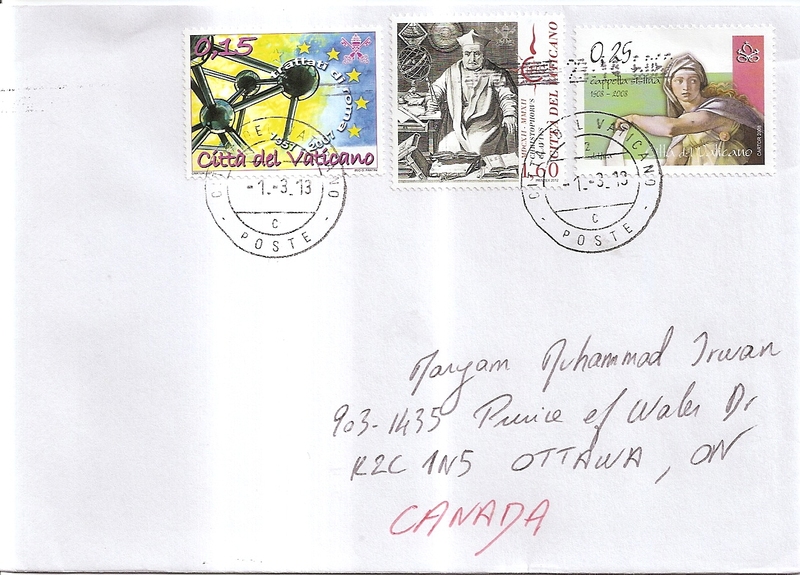 The postmark date is 1 March 2013. 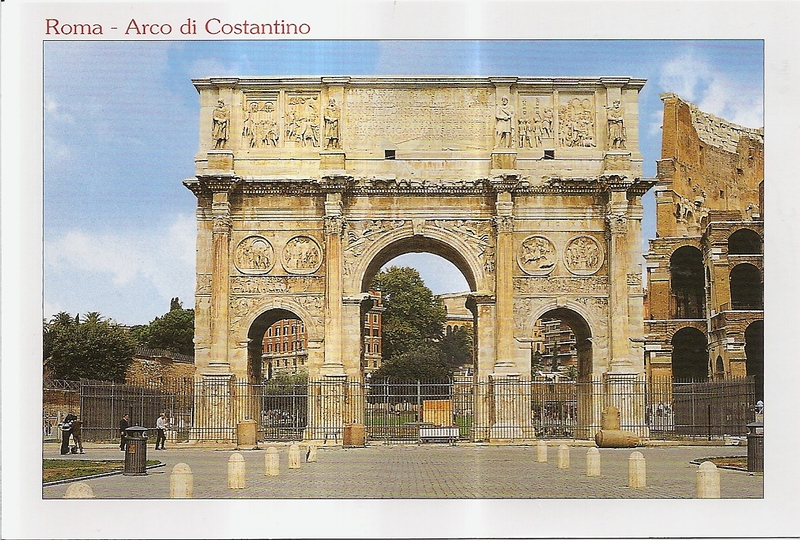 Inside is a beautiful postcard showing the Arch of Constantine in Rome, Itlay. Thank you very much Francois!